There was a star studded line up on display at the renowned PK Saenchai Muay Thai gym in Bangkok yesterday. The fighters had gathered for an open workout ahead of ONE: ‘Clash of Legends’ which is set for the Impact Arena on February 16th. “I have been training very hard for this fight as it is for the world title and a very important fight for me and I am determined to take the belt. I have watched some of my opponent’s fights online and he is a strong fighter, especially with his hands. He is tall, so I will work on using my kicks more as they will be longer than his punches, I have to make sure I hit the target hard, with every shot. 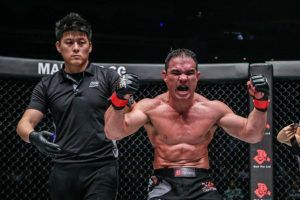 I cannot say for sure how the fight will turn out, we will have to see on the night, but I guarantee it will be a very entertaining fight,” Nong-O said. “I have seen him fight before, when he fought my stablemate Saenchai PKSaenchaigym. He is a good fighter but, I am very confident I can beat him. 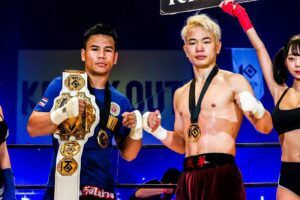 My favourite weapon is my knees, which are not so important under ONE scoring, so I have been working hard on my elbows to get the win,” Chamuaktong said. “I have seen him fight and he is very strong and aggressive. I am more experienced though and have trained very hard so I can put on a show for the Thai fans. I have been working on my elbows especially to slow him down,” Superlek said. 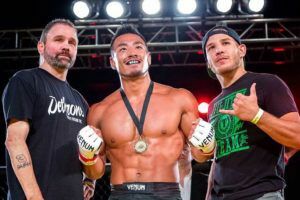 “I am really happy to get the opportunity to fight for ONE, it is the show every Thai fighter is looking to fight on now. 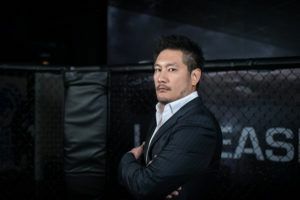 I have signed a contract for two years and it will probably be my last two years competing in the sport, so I am very determined to give it my best,” Kongsak said. 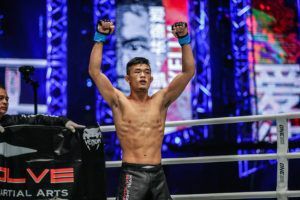 Kongsak’s opponent Alaverdi Ramazanov already has a victory over his countryman Petchmorakot Wor Sangprapai at ONE: ‘Conquest of Champions’, so the Buriram native knows he won’t be in for an easy fight. “He is tall and has good boxing, his kicks don’t look so strong though and I will be using my left kick throughout to try and win the fight. I am confident I will get the win,” he said. Also on the card are Thailand’s MMA super couple Shannon Wiratchai and Rika Ishige. 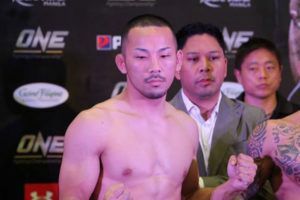 Wiratchai faces South Korea’s Tae Kyun Kim and is looking forward to showcasing his skills in front of the home crowd. 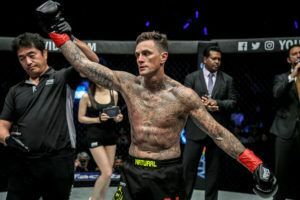 “I have fought all over Asia, but it’s always special to put on a show in front of your own countrymen and I am determined to show I am still the best,” he said. 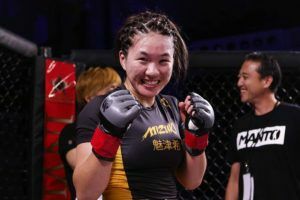 Ishige takes on Cambodian warrior Nou Srey Pov in an atomweight match up, but already has one eye on Angela Lee’s world title. 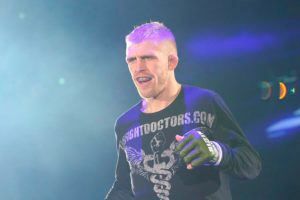 “I am very focused for this fight and have learned a lot this year and I am ready to show this to the world. There is a lot of strong talent at my weight and I am determined to beat them all on route to the title,” she said.